Leah Marino hasn’t been on a date in two years. After discovering the man she loved had manipulated and deceived her, she refuses to even entertain the idea of a relationship. Instead, she focuses her attention on taking care of her family, a role she’s assumed since the death of her mother and the one place she knows her kindness won't be taken advantage of again. When a nostalgic trip back to her childhood home results in a chance encounter with Danny DeLuca, a smart-mouthed mechanic who’s as attractive as he is mysterious, Leah's carefully cultivated walls begin to crumble. She finds herself unexpectedly drawn to Danny, despite his unreliable behavior and mixed signals. One that could shake Leah's already precarious foundation and bring her world crashing down around her. Suddenly, she's faced with an incredibly difficult decision--is she willing to risk everything for the chance at finding the love she's always wanted? Or are some obstacles just too big for the heart to overcome? A yearly traditional drive past her childhood home to remember her mother holds more in store for Leah this time when fate steps in and intervenes. The new homeowner befriends Leah, inviting her inside, and there she meets the nice woman's grandson, Danny. Both feel an instant attraction, but Leah isn't really looking a new relationship since she's still reeling from her break-up from a cheating boyfriend two years before. Once fate has stepped in, these two will meet again and when they do it will be harder for both of them to simply walk away. Coming Home is a slower-paced, character-driven love story featuring two immensely likable main characters. Leah is a good woman, loves her family and stepped in to help out after her mother passed away. Dealing with this tremendous loss along with healing her heart, she isn't on the lookout for someone new, but she can't forget Danny. He's a mechanic drawn to Leah but a secret he's been carrying around keeps him from pursuing her. One may view Danny as a bad boy since he has a dark edge--at times he is consumed by angst and has some snark--and yet there is so much more to him. He berates himself over what to do about his feelings for Leah. The reader may tire of his not revealing his "secret" but patience will be rewarded. When these two finally accept their feelings for each other as something more palpable than a simple attraction, the pace kicks up as their story reaches a satisfying conclusion. I always welcome a character heavy love story as a respite from quick, usually unsatisfying (I have to be honest about this), 'insta-love' tales. Coming Home is aptly titled. 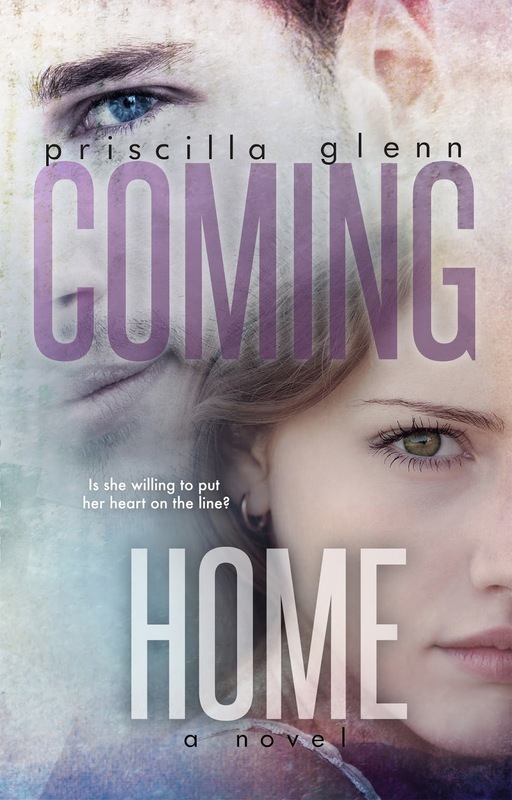 With author Priscilla Glenn's talent for creating memorable characters with different conflicts and situations, romance fans are able to fall in love along with the characters as well as loving the characters too. The slower pacing may not be enough for those accustomed to speed. For this reader, I relish the opportunity to sit back and become submersed into a couple's sweet love story. So recommended. I think this cover works. The facial close-ups are refreshing after seeing so many cover with clutching couples. 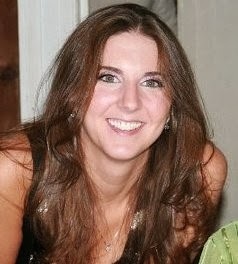 Priscilla Glenn lives in New York with her husband and three children. She has been teaching English at the middle and high school levels for the past twelve years while moonlighting as a writer, mom, coach, student, and professional laundry-doer. There is a tour-wide giveaway of (3) Signed Print Copies of Coming Home. Open International. "For this reader, I relish the opportunity to sit back and become submersed into a couple's sweet love story." Me too! Thank you for the review. I will definitely be reading this book.